Great big pepper gel sprayer for defense against any type of attacker or multiple attackers. 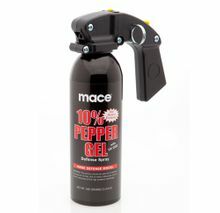 The latest in pepper spray technology - Mace Pepper Gel is a patent pending formulation of maximum strength OC pepper (1.4% capsaicinoids the same as the best bear sprays) The OC pepper is suspended in a sticky gel instead of a liquid. 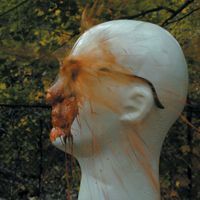 The gel formulation has several advantages: it sprays farther, is less contaminating to the surrounding area and the thick formulation sticks to an attacker�s face. Pepper Gel contains an invisible UV Dye which marks an assailant and may aid in identification.